Professional Windows are experienced in handling large projects, from social housing contracts to commercial shop fitting. Our long established team is familiar with the specific requirements and challenges of working on projects with residents in occupation. With over 20 years experience in the provision of solutions to our Social Housing client base throughout the UK, we are uniquely able to demonstrate a long term commitment to the sector through the professional expertise of its dedicated team of people. We believe that we must aim to achieve 100% in every area of the business and develop and maintain the strongest available commercial relationship with our Social Housing client base through project delivery excellence. Commercially our experience extends to being able to provide the right product for the environment be it a school, office block, factory building, retail outlet and more. We provide products that are fit for purpose, meet the latest standards for safety and security. Professional Windows can also advise you on the precise product to use, whether you are working on a simple replacement window project or require, for example, doors to meet the latest requirements of the Equalities Act/Disability Discrimination Act and be fully compliant. 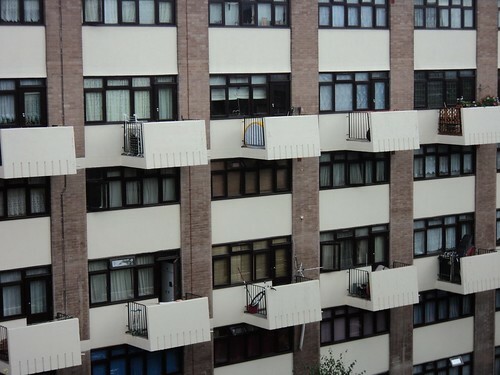 Example of the scale of Social Housing projects.